To make the Thanksgiving feast as ideal as possible, it is best to avoid using fryers on decks, in garages, or near trees and detached structures. Before cooking, the turkey should be thawed and dry, since cold water mixing into hot oil can cause a fire. If the weather is rainy or snowy, do not use a fryer outside. The fryer should also be placed on a level surface and should be untouched once it is in use. If the fryer is propane-powered, the burner and the tank should be kept at least two feet apart. It is best to follow the manufacturer’s instructions to make sure you do not overfill the fryer. If oil comes into contact with the burner, a fire could start. Choosing a smaller turkey is a good idea, and it is best to avoid adding stuffing or water-based marinades. Fryers should never be left unattended, and children should be kept away from fryers when they are in use. An oil-less fryer which uses infrared heat to cook a turkey can provide a safer way to prepare a delicious meal. 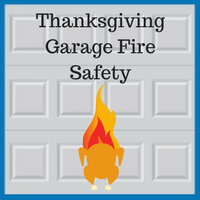 By following these tips, you can prevent a possible fire in your garage on Thanksgiving and make sure that your family will be able to enjoy the holiday safely. If you have any questions about how to get the most out of your garage during the holidays, Blue Sky Builders is ready to assist you. 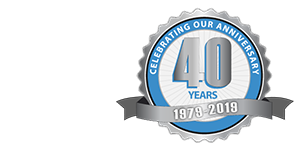 Based in Downers Grove, we have over 38 years of experience in the garage sector, and our garage experts can provide you with the assistance you need. Please contact us today at 630-852-8485. To check out our work, please visit our gallery.